VetNetwork is a full-service veterinary marketing company dedicated to helping veterinarians like you with your marketing needs. 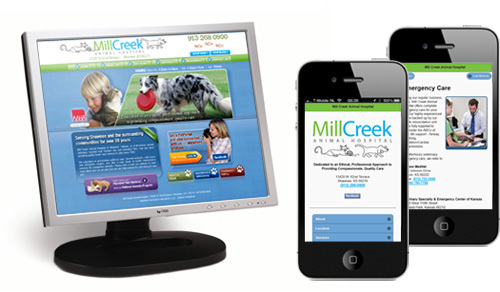 We offer professional and custom veterinary hospital websites, brochures, logos and other packages along with friendly customer service and great prices. Through strategies that meet your individual goals and your budget guidelines, we find new and unique ways to connect you with your clients and take your practice to the next level. Please call us at (800) 564-4215 to discuss how we can best help your veterinary hospital grow and succeed. Please visit our full website for more information.